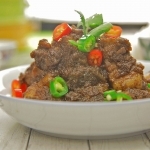 What do you get when you use the best Chinese ingredients together with the unique, authentic cooking techniques by the Malay/Indonesian community? This match-made in heaven combination gives rise to the unique taste and flavours which we are all so familiar with, The Peranakan Food. 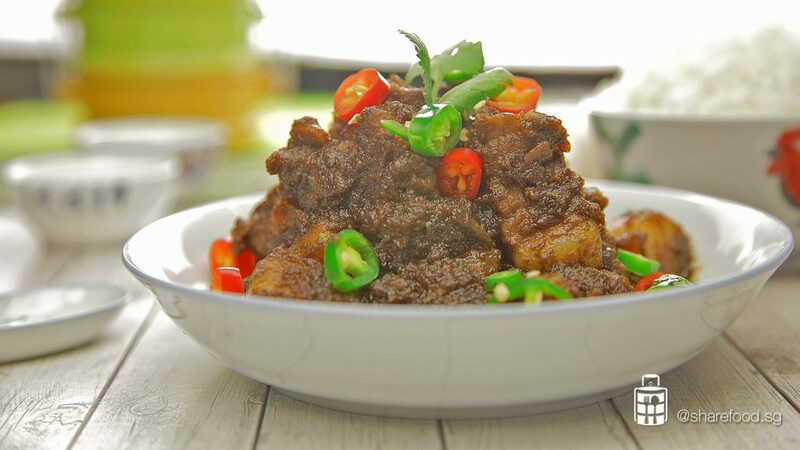 When you think about Peranakan food, one dish that will definitely come to mind is the Babi Assam (Tamarind Pork). As with most Peranakan dishes, there are many variations to this delicacy. 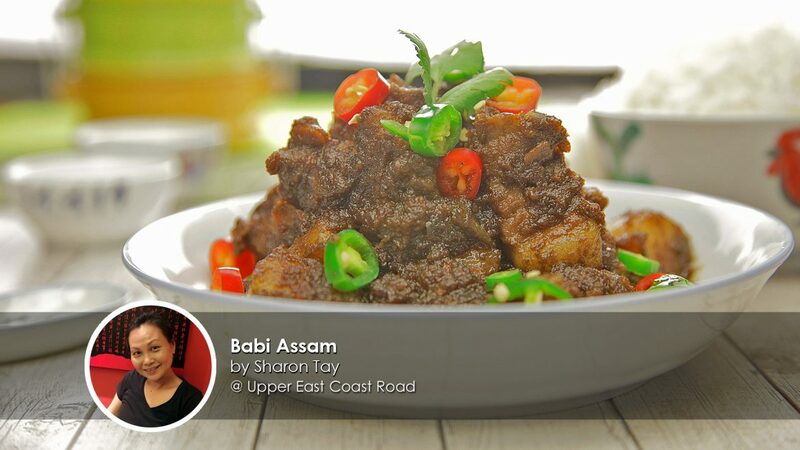 This week, we present to you Nonya Babi Assam by our home cook, Sharon Tay. Sharon's father is a Peranakan and this is one of his favorite dishes. So, like any loving wife would do, Sharon's mother took the effort to learn how to cook his favorite dish. After many trials and errors later, she finally perfected it and passed down the recipe to her daughter. There's a saying - the way to a man's heart is through his stomach. A perfect example by Sharon and her mum! 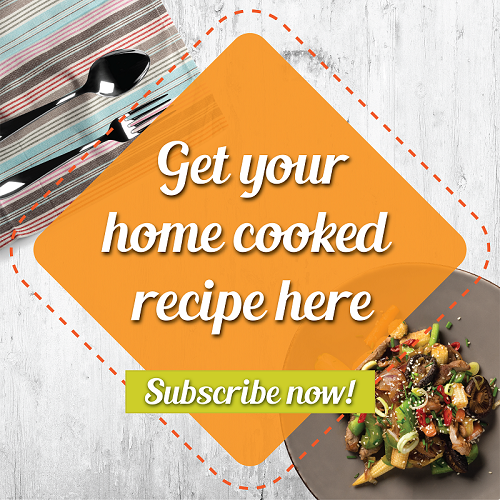 Babi Assam recipe right below! In a blender, add in 50g green chilli, shallots, candle nut, 40g oil, 20g garlic. Set aside. In a bowl with Assam, pour in 200ml room temperature water. Stir and drain. In a separate bowl, add in the rinsed Assam. Pour in 750ml of warm water and let it sit for 20 mins. Squeezed the juice from the Assam pulp until the juice thickens. Drain the juice. Set aside. In a heated pan with oil, fry chilli paste on low heat till fragrant and oil starts to seep out. Add in pork and fry evenly. Add in green chilli and whole garlic. Add in Tau Cheo, miso paste, thick soya sauce and assam water (500ml). The liquid should cover the pork completely. Bring to boil, cover and simmer for 20 mins. Reduce heat and bring it to simmer for 1hr 15 mins. Top up assam water at 20mins interval. When the pork is soften, do a final tasting. Add in salt and sugar as desired. 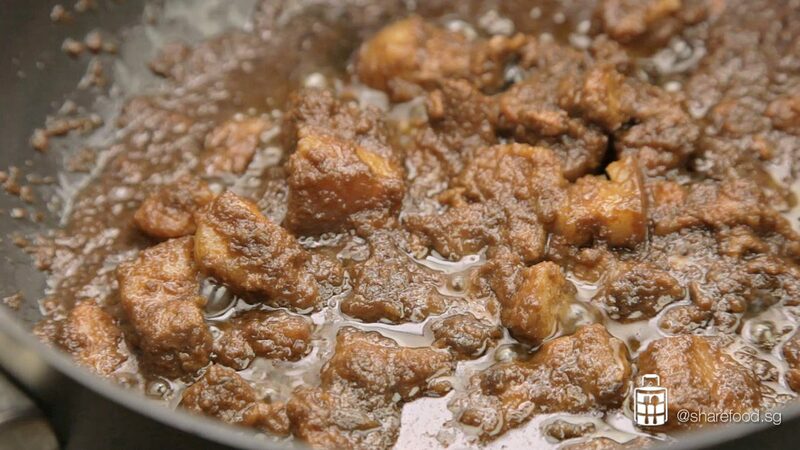 Bring to high heat uncovered and continue to stir till gravy thickens and coats the pork.